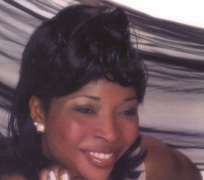 AM GUILTY- ZEBTURY PICTURES ADMITS. Mr Femi Adelakun of Zentury Pictures has confessed to Nollywoodgists that he is indeed owing Ms Bukky Amos as rightly written by The Owl. On the 9th of February, Mr Adelakun admitted that he took two films from Bukky but stated that he is unsure of the exact amount because the movie did not sell as things are not moving in Nigeria with movies presently.. He said he had contacted her many times to appeal to her but each time Bukky calls him names and curses him. He further asked that Ms Amos checked the fact out from her printer or he would from his company to know the exact amount he owes her. Can you believe that? How can he take films from people and not even know how much he agreed to pay for them? We are unsure if he is telling the truth. At least, we thank God, he has admitted to owning her some money. What infuriated me most was the fact that he said the films did not sell and he ran into 'WAHALA' when he got into politics which has now landed him in courts. He even said the hearing is in March after which he would be able to pay back what he owes. He, in addition said he has properties that he can sell and 2-3 films he intends to release which would enable him pay up. After hearing all these, The Owl contacted Bukky again and below is what she has to say. I cannot thank u enough. Mr Adelaku sold the films and I mean very well. The printer is my friend, Demark printers- I will also forward his number for verification to you. The man is a liar and not God fearing at all. What is my problem with his political ambition? It is true I sent text messages insulting him because he was avoiding me and ignoring pleas from everyone who got involved. I felt raped. I felt humiliated begging for my own hard earned money. I don't care what he sells as long as I get my money back. Let him know I am in a hurry to get my money after almost three years. He has no heart at all. I don't know how anyone could do that to another person. Let me set him straight. He owes me N2.5million and he knows it and God knows it too. The amount was reduced to that after series of negotiations and excuses from him. I can live without the money but if he goes scot-free, he will do it again, and again and again. Some Marketers have turned (Ladies) producers to prostitutes as they believe that you have to sleep with them to excel in the business. It's very unfair. I am well above that and I just want to pave the way for others like me who are too petrified to sell their stuff. I know another popular and brilliant lady producer/director in London who has about five films and afraid to take it to the Nigerian market due to all these. Why should such be happening? How on earth could someone spend her hard earned money on a production and the marketer will not pay a penny? Assuming the money spent was a loan, how much interest could have accrued after three years? Please do me a favour, publish his side of the story. Pls, I will end up in court with the guy, I don't mind if I have to spend N3m to get the money from him. He is a rogue. I will send the Numbers of all his friends for verification too. I am ready to fight him tooth and nail. Enough is Enough! The Questions we are asking are? 1-Why did he wait this long until the lady cried out? 2- How can he pay back when he didn't even know how much he owed? It surely means he had no intention to pay in the first place. 3-The other 2-3 films, how are we sure he is not trying to rob Peter to pay Paul? Maybe another sucker producer has gotten into his nest. 4-How can such a person represent our beloved country in any office? He has used someone else's hard earned money to play politics and if he was put in a position of power, how can we entrust our money to him? 5-Are there others in Bukky's shoes who are not talking? 6- Does he have your films? 7-How long would we have to wait before Bukky gets paid? When are you going to pay this lady her money? We want dates and how you intend to pay her. Please respond as all we are doing is to settle this out of court. THE OWL!!!!!!!!!!!!!!!!!!!! Rests its case for now.